Can You Keep Betta Fish With Other Fish? Betta fish, or “Siamese Fighting Fish,” are known as fierce fighters and territorial loners. 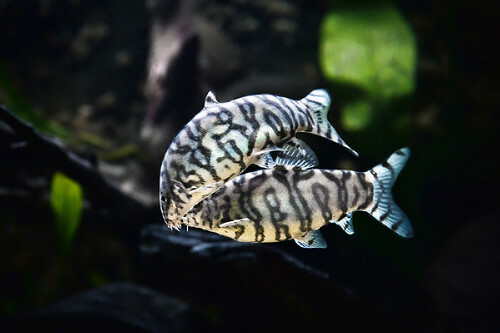 Males, in particular, tend to have an aggressive attitude towards other males and other fish, and many fishkeepers keep their Bettas in solo tanks to avoid any issues. Despite this reputation, it is possible for male Bettas to coexist with other fish species in a community tank. Do Betta Fish Need Tank Mates To Be Happy? Can Betta Fish Have Tank Mates and Stay Peaceful? What Makes a Good Tank Mate for Your Betta Fish? Bettas do not actually need any companions and do very well on their own provided they have a large enough tank and the right requirements. However, if you’re tank is large enough you can add a few tank mates that will no doubt add some fun for your little buddy. Yes, Betta fish can be kept with all kinds of community fish. That said, it is important to do your research and understand how big the tank mates will get, their temperment and their water parameters. Tank size is also very important and as you’ll see below you’ll need a specific tank size depending on which companions you want to keep with your Betta. Before we get into the list of good tank mates here are a few things to look for when deciding if a fish will make a good addition to your Betta community tank. Make sure you have the proper Betta fish tank setup and that your tank is big enough. If your Betta’s tank is less than 10 gallons, you shouldn’t try to add other fish. As far as tank size goes, bigger is better. Make sure there is plenty of vegetation and natural features. Bettas and other fish need places to hide and take shelter. It may be easier to add your Betta to an already-established community tank than to add other fish to your Betta’s territory. Avoid putting two male Bettas in the same tank. Avoid fish with long, flowy fins or bright colors that your male Betta might mistake for another male. Avoid fish that are known “nibblers.” They will nibble at your Betta’s fins, injuring it and potentially causing it to become aggressive. It’s not only the fish and it’s temperament that make a good tank mate, you need to consider the size of tank you will be placing your fish into. A fish that will grow to be 2-3” would not likely be a good tank mate for a Betta in a 2 Gallon tank. 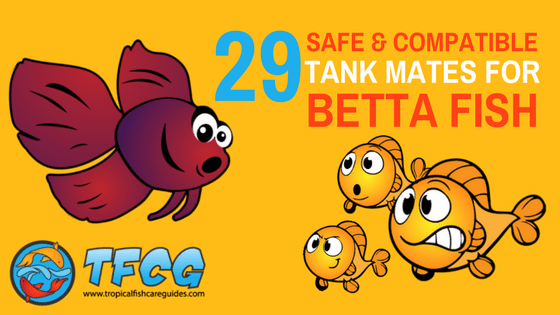 That’s why we have listed all the best Betta Fish tank mates and grouped them by the tank size that is most suitable to keeping a Betta in a community tank. 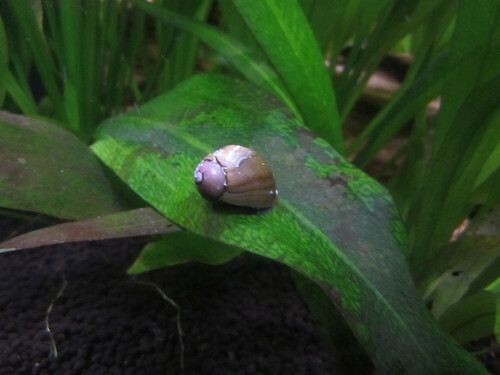 Zebra (Nerite) Snails are very popular in freshwater aquariums mainly becuase it’s very difficult to breed them in a freshwater tank, so they are very unlikely to multiply like other snail species. 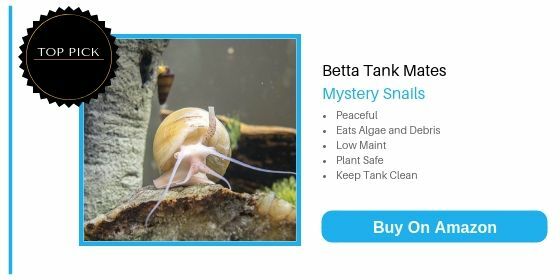 These snails also help remove/eat debris and algae from your tank, which helps keep things clean. 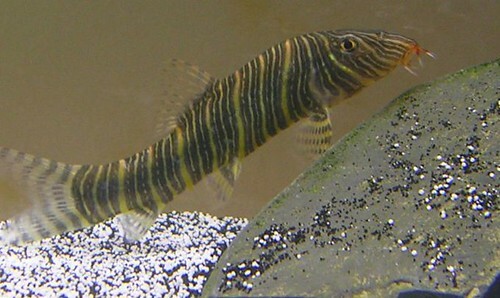 They can grow up to 1″ and you can dentify them by their vivid black and gold stripes. They are super easy to care for, very peaceful and help keep things clean making them an ideal tank mate for your Betta. 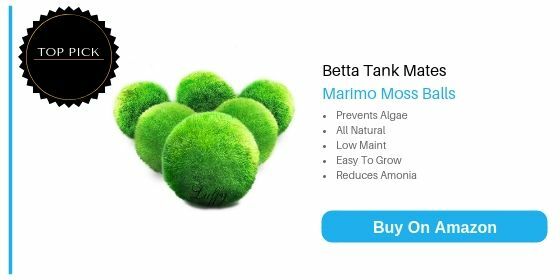 Marimo Moss balls are one of the best things you can put in your Betta’s tank. They are easy to care for and also help keep the water clean and free from toxins. Cherry shrimp are another good tank mate for Betta fish because they are very unobtrusive and great at hiding. 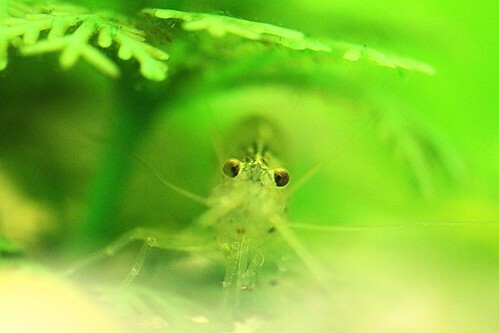 One thing to keep in mind with Cherry shrimp is they breed quickly so they could overtake your tank quikcly. That said they are fairly hardy and would work well in a Betta tank. Snails are not only unobtrusive and will stay out of your Betta’s way, they also have a hard shell for protection and can easily retreat inside of it if your Betta starts to get aggressive. And snails are scavengers and algae-eaters, so they will do a lot to keep your tank clean and healthy. Nerite snails in particular are excellent Betta fish companions. They are some of the best algae-eaters around, they stay relatively small at about an inch in length, and they don’t excessively reproduce like some other freshwater snail species. 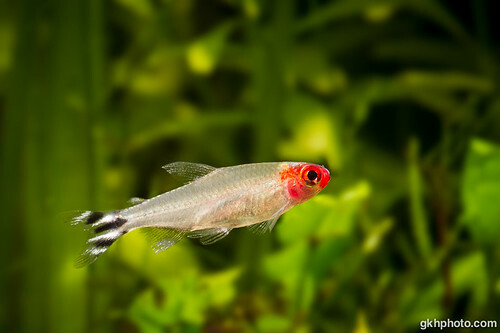 Feeder Guppies lack the bright hues of Fancy Guppies, and their small fins and muted colors won’t attract the attention of your aggressive Betta. They are also tiny, peaceful and won’t harm your Betta by nipping at his fins. Feeder Guppies are usually bred as food for larger fish, but their overall blandness makes them great tank mates for Betta fish. They are also very hardy and can survive in a wide variety of tank conditions, so you won’t have to worry about balancing your tank to accommodate them. Native to Chinese mountain streams, the White Cloud Mountain Minnow is an ideal fish compatible with Bettas. This is a peaceful and easy-to-care-for fish that won’t nip at the fins of your Betta and won’t be seen as a threat. They also enjoy a similar diet and water pH as Bettas, so you won’t have to find that perfect chemical balance for all your fish to thrive. White Cloud Mountain Minnows are used to a colder water temperature than Bettas, but setting your temperature around 75 degrees (F) should keep both species happy. Neon tetras are small freshwater fish that get along well with Bettas, they will also add colour and activity to your Betta tank and they are great for beginners. Because Neon Tetras stay quite small and have a peaceful temperament, they are often found in small community aquariums and can live up to 10 years if kept healthy. 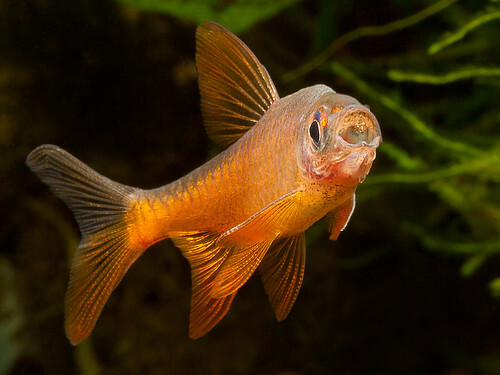 Like the other fish on this list, the Ember Tetra is generally peaceful and submissive, and is not known to nip at fins. Unlike bright Neon Tetras, Ember Tetras have a dull color that won’t attract a Betta’s attention. These qualities make this fish another great tank mate for your male Betta fish because they won’t annoy or seem threatening to your Betta. And if your Betta fish did try to start something, Ember Tetras are small and fast enough to escape unharmed. 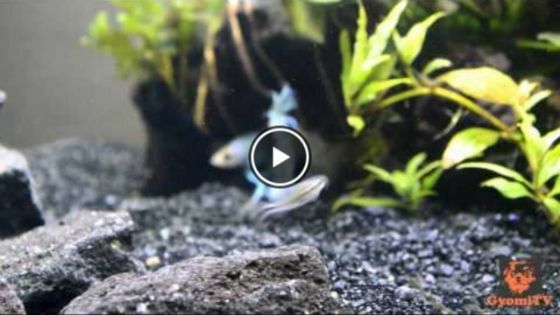 Ember Tetras thrive in the same tank conditions as Bettas, and enjoy tanks with a lot of vegetation to explore. A small school of Ember Tetras should peacefully coexist with your Betta fish and will add variety to your tank. Harlequin rasboras may be the ultimate male Betta fish tank mates because they naturally coexist with Bettas in the wild without a problem. Rasboras are small and not known to be aggressive or nip at fins, so chances are low that your Betta will see them as threatening. They are also used to the same diet and habitat as Bettas, which will make setting up and balancing your tank much simpler. Rasboras can add a touch of flash to your tank with their metallic orange coloring and signature triangular black markings. Throw your Betta into a tank with a school of 8-10 Rasboras and you should have a peaceful community of beautiful fish. The Celestial Pearl Danio is a relatively, easy-to-care-for fish, it does best in a peaceful community aquarium or a well-planted aquarium of at least 10 gallons. And because of its small size and peaceful temperment is a great Betta friendly fish and tank mate. The Silver Tip Tetra is a quick sleek tetra with shimmering white/silver fin tips. It will do best in groups of 6 in a community tank of small peaceful fish. 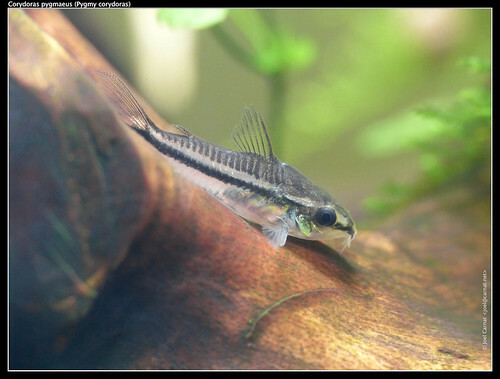 The Pygmy Corydoras is the smallest species of Corydoras Catfish, only growing to about 1 inch in length. Corydoras are bottom feeders so they generally won’t interfere with your Betta fish, which prefers to cruise around the upper layers of the tank. They are also peaceful by nature and their dull gray colors blend well with sand and gravel, so your Betta may not even notice that it has a tankmate. Another advantage of Corydoras is that they enjoy similar water conditions as Betta fish and will do well in the same tank environment. A school of 6-10 small catfish in a 10-gallon tank are the perfect companions for your male Betta fish, and these two species should get along swimmingly. Ghost shrimp are almost translucent and are very pale in color, which means they are unlikely to attract the attention of your Betta fish. They’re small and will stay out of the way, and your Betta will most likely leave them alone. They’re also scavengers so they’ll work to keep your tank clean. 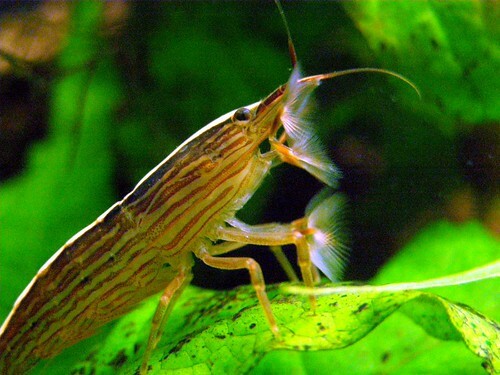 Ghost Shrimp prefer aquariums of at least 10 gallons with plenty of places to hide. With a small community of Ghost Shrimp alongside your Betta, you should have a clean and peaceful tank. African Dwarf Frogs are excellent companions for your male Betta fish because there’s no way your fish will mistake them for another male Betta so it will have little reason to attack. These frogs will also stay near the surface of your tank and will be out of your Betta’s way most of the time. They are also able to survive in similar water conditions. Even though you’re Betta won’t be provoked by the appearance of the African Dwarf Frog, you should still keep an eye out to make sure your fish isn’t nipping at your frogs from below. 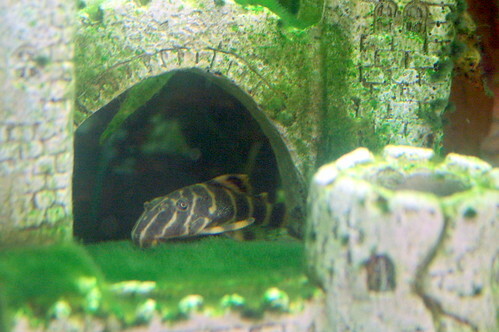 A type of armored catfish, Clown Plecos are docile algae-eaters and can be excellent male Betta fish tank mates. These fish tend to be docile and submissive and get along great with territorial fish like Bettas. They also do well in similar water conditions, and their algae-eating habits will help keep your tank clean. Clown Plecos are strikingly beautiful with luminescent yellow and deep black stripes, so they will surely add to the aesthetics of your tank. They are smaller than other types of Plecos, but Clown Plecos can still grow to about 4 inches in length and will need a tank that’s at least 29 gallons. Fire Rasbora are a shy fish species and should be kept in groups of at least 8. The tank should be calm and peaceful or well planted. Because of their timid nature, Fire Rasboras are great companions for Betta fish as they are likely to never disturb them. Rummy Nose Tetras are a small fish with a bright red spot on its head, with black and white stripes on the tail and silver body. The Rummy Nose Tetra can be kept with other other peaceful fish, including Bettas. The Cardinal Tetra is another brightly coloured fish that will bring beauty to any home freshwater aquarium. The Cardinal is very peaceful and should be kept in groups of six or more. 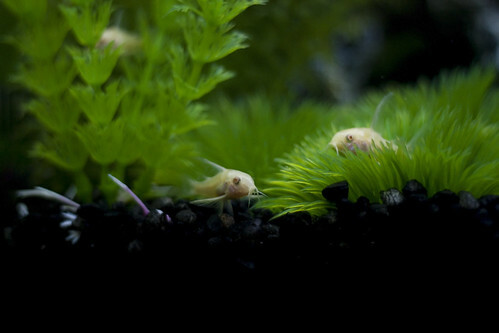 Mollies are a favorite in the aquarium hobby because of their many good qualities. They are very peaceful, undemanding and brightly coloured. 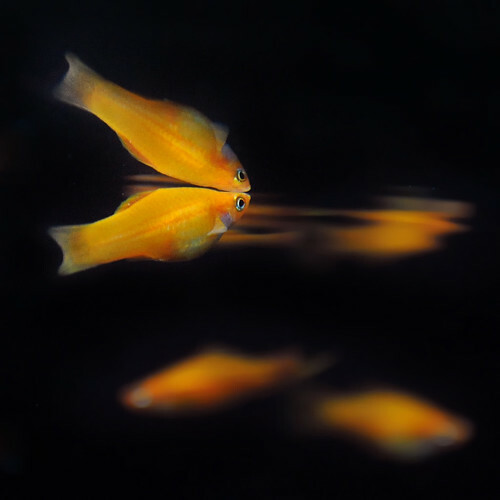 You can find them in most aquarium stores and in many variations such as orange, rust, silver, black, green, gold, and combinations of some or all of these. When keeping moolies with Betta fish your Betta may confuse them for another male because Mollies are brightly coloured. So be sure their fins are not too long. 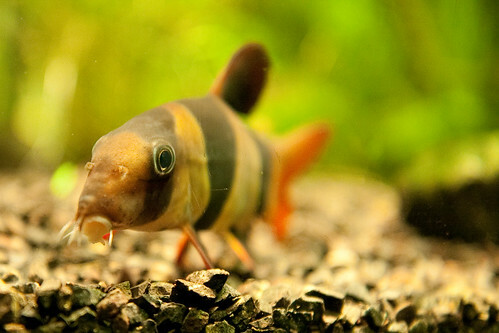 The Kuhli Loach is peaceful ground fish which is more active in the evening and at night – which makes it an ideal tank mate for Betta fish, since they are likely never to see one another. 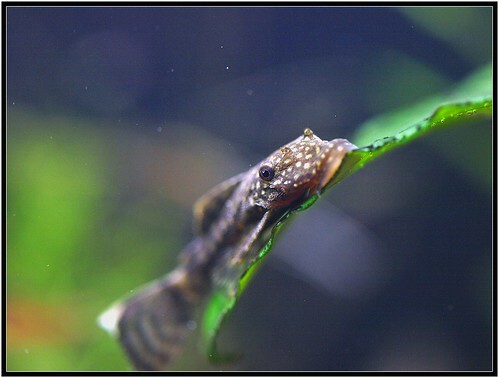 Bristlenose plecos are an excellent addition to most freshwater aquariums. They are one of the best algae eaters available because of the large amount of algae they eat, their hardy and easy to care for nature. These guys go well with Betta Fish because of their peaceful nature and inactivity during the day. Any of the above species have the potential to make excellent male Betta fish tank mates. Even so, when establishing your community tank make sure to monitor your Betta’s reaction to the other fish and keep an eye out for any aggressiveness. If done properly and carefully, you should be able to create a thriving community tank around your beautiful Betta. The success of creating a community tank around a male Betta ultimately depends on the temperament and personality of your individual Betta. 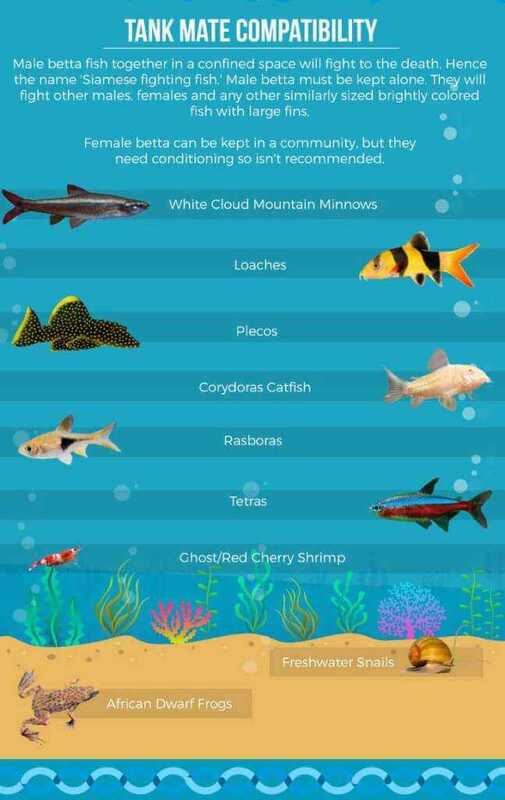 But the species listed here can make excellent tank mates for your Betta fish and will give you the greatest chance of having a peaceful and happy aquarium.